Chinese New Year 2018 is just around the corner, we can't believe it! Heather and I grew up in different parts of the world, but share the same Chinese heritage. One of the most memorable parts of celebrating Chinese New Year growing up, is that we would receive red packets (also called as "lai see" in Cantonese, or "ang pao" in Hokkien, or "hong bao" in Mandarin) from our older relatives, filled with money, as way to send good wishes and luck for the coming year. Typically, you also give two at a time to bring even more luck. Now that Heather and I are older, we're now the ones giving these red envelopes away to the younger people in the family. And since we love pretty design, we knew we just needed to make our own red packets for this year's Chinese New Year celebration! According to the Chinese Lunar Calendar, the new year is starting February 15, 2018, and it's also the Year of the Dog. 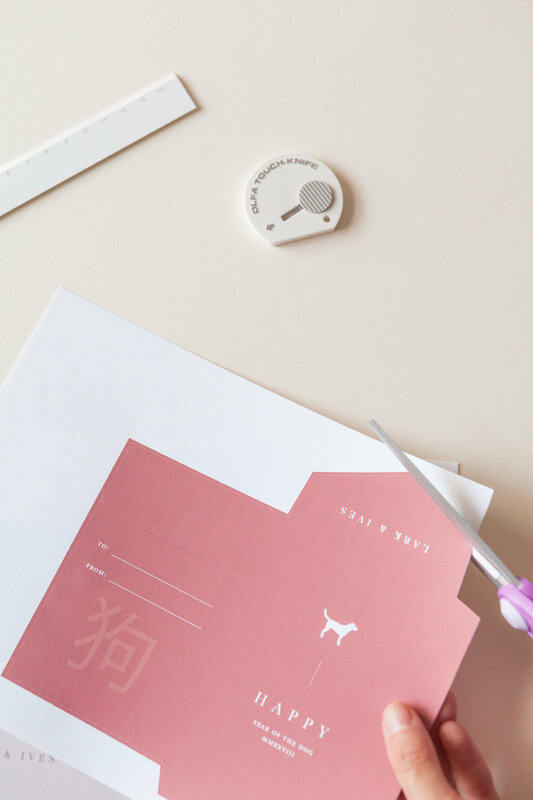 We wanted to incorporate the dog into this year's red packet printable. We're breaking the rules a little bit by having a non-red envelope, but we just had to make one in our Lark & Ives colors, and keep the other one in red. Print off the red packet printable on 8.5x11 text-weight paper. We recommend using a color inkjet printer. Cut the envelope out of the paper using scissors. 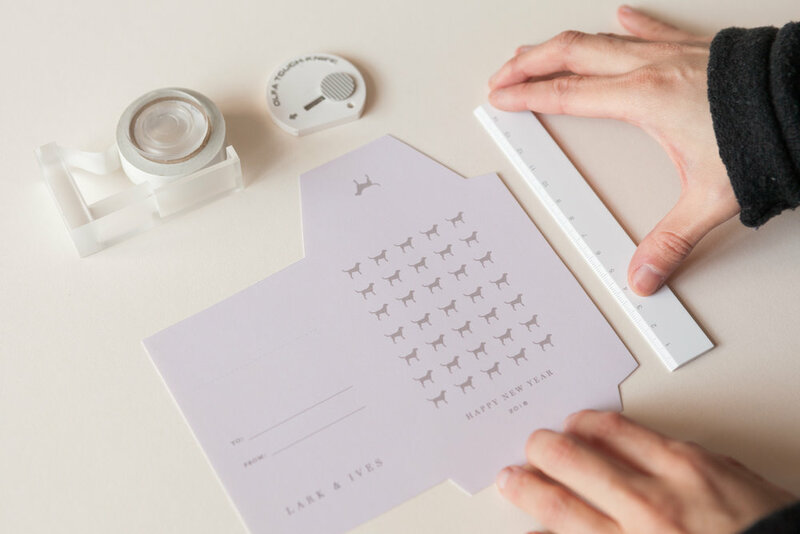 Make sure you are cutting from the outermost line closest to the edge of the design. The design extends beyond this line, but it's so that when you cut it, you won't have a white margin. Use the Xacto knife to draw through the dashed line for the envelope flap to be tucked in. You may use a piece of cardstock or cutting board to avoid cutting through your work surface. Fold the corners in with the help of a ruler, that way the folds are nice and neat. Put glue / double sided tape on the side and the bottom of the sheet to close the envelope. We sure hope you enjoyed this DIY and will use it for your little ones! Make sure you post photos on IG and tag us on them so we can see your DIY adventures!